We're often told that men are impossible to buy for, but if the man in your life likes cars (or tinkering with any kind of motor) and food, we think we've found the perfect present! The Spanner Cheese Knives Gift Set by Culinary Concepts is very crafty cutlery - two cheese knives (one for hard cheeses, one for soft) with handles that are exact replicas of traditional drop forged spanners. 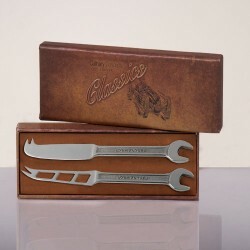 They are sure to raise a smile when taken out of their charmingly retro gift box and give the user a warm glow every time they use them (as they are reminded of happy times tinkering under the bonnet). 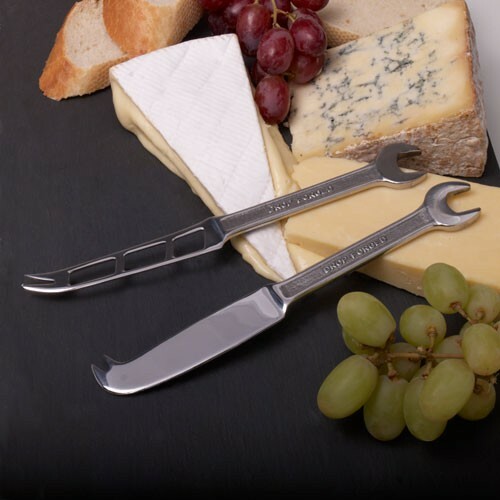 These Spanner Cheese Knives are the perfect gift, stocking filler or personal treat for the car or mechanics enthusiast who loves their cheese and they also make a great talking point on the cheese board when entertaining. Both cheese knives have strong stainless steel blades. 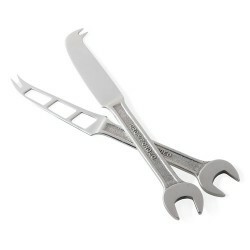 The first is ideal for a variety of harder cheese, and its two pronged end makes spearing your slice easy and mess-free. 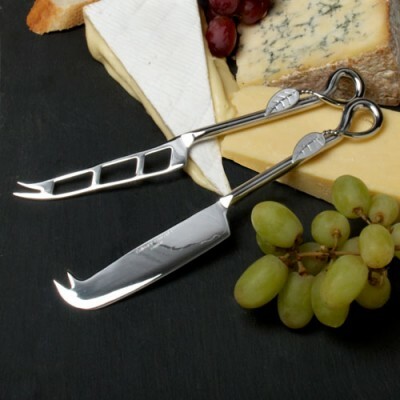 The second knife has an aerated blade making it perfect for softer cheeses such as Brie or Camembert.